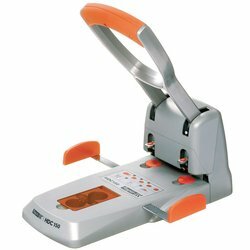 Power hole punch for 2-150 sheets. 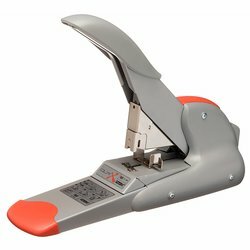 Power reduction, automatic centring paper guide and ergonomic easy-grip rubber handle makes this hole punch the perfect member in the professional office. Ergonomic soft rubber handle, longer leverage, and high precision cutters ensure effortless operation.